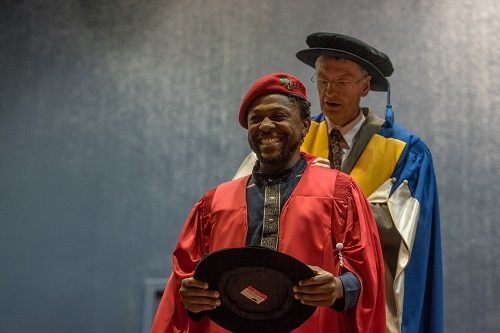 EFF spokesperson Mbuyiseni Ndlozi took to Facebook to call the report ‘utter rubbish’. The Economic Freedom Fighters (EFF) has attacked the Sunday Times, denying the paper’s claims that the party engaged in informal discussions with the ANC about a possible coalition. EFF spokesperson Mbuyiseni Ndlozi took to Facebook on Sunday to call the report “utter rubbish”. “Mama Winnie’s last words on the matter CIC Malema returning to the ANC was that after having seen what we did in parliament, she now understands that EFF must exists! (sic) So there are no talks of joining EFF and ANC. We are on our own and we will defeat the compromised, corrupt bunch of kleptomaniacs!” he wrote. In an official statement later, the party expressed its apparent disdain for the paper’s credibility. “The Sunday Times has also indulged in StratCom journalism; the only truthful thing about their report is the 30% bit that EFF attended Mama Winnie Mandela’s funeral alongside the ANC and that CIC Julius Malema was one of the speakers.